The official switch from winter to spring is defined on our farm by the first tomato planting. Tomato plants cannot handle freezing temperatures; even a light frost will cause a young tomato plant to turn brown and die. Our little tomato plants find cover in the greenhouse from the winter weather outside while they grow from seeds to young plants in preparation for their plant date into an open field. Though this refreshing drink doesn't use any tea leaves, we love the mild lemony flavor. 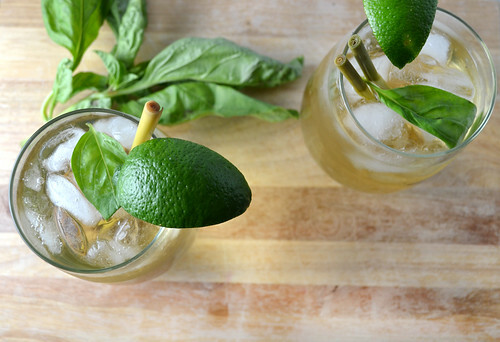 It's perfect for a hot day and the mint or basil leaves are a great addition! Using the back of a large knife, crush the lemongrass stalks to release the aromatics. In a medium saucepan, bring the water to a boil. Drop in the lemongrass stalks and boil for 5 minutes. Reduce the heat to a simmer and cook 10 minutes. Stir in the honey and remove from heat. Pour into a large glass container and refrigerate 1-2 hours until cool. Fill glasses with ice and pour in the tea. Garnish with lime wedges and basil or mint leaves. How To Add Lemongrass, Honey and Basil To Your Delivery: CSA members - head on over to our online Farm Stand Market to customize your upcoming delivery. The Market is open from noon on Thursday until 10 am, 2 days before your scheduled delivery day. After you confirm your produce items, click the orange button "Confirm and Continue To Other Farm Products" to add the products to your delivery. planted in spring. Fall crops are planted in the summer, and spring crops are planted in the fall and must endure winter before they can shine. options using produce you can find in your deliveries when you customize your box. We hard boiled 24 eggs in preparation for egg dyeing. Once you have selected a dye, place the ingredients in a pot using the amount listed above. Add 2 tablespoons of vinegar (white, apple cider, any kind) and 1 quart of water to a pot. Add additional water if the ingredients are not sufficiently covered. Bring to a boil, then reduce heat. Let the ingredients simmer for 30 minutes. Strain the dye and put it into a bowl. Wait for the mixture to become room temperature before you begin to dye your eggs. How Long To Keep Eggs In The Dye Bath? 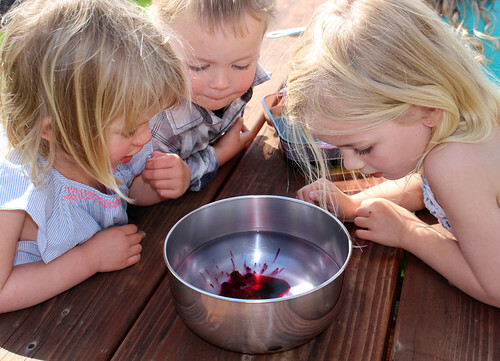 Natural dyes do require a little more patience than the grocery store dye kits. To give you an idea of the color intensity to expect from your natural dyes, we have created a chart for you to reference (see above). In general, it can take five minutes to four hours, so it really depends on your time, patience and determination. Although we initially started out only dyeing white eggs, we wanted to see how brown eggs would hold up to the same dye bath. 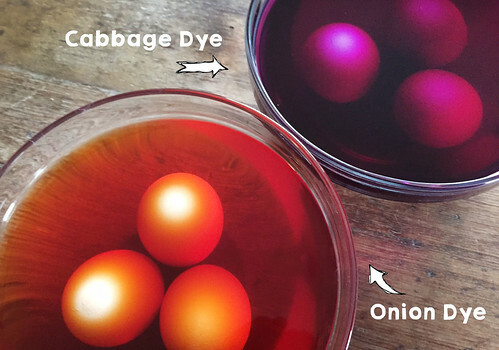 You can see a comparison of how the white/brown eggs absorbed the dye bath for the red cabbage and onion skin. And if I do say so myself, they look pretty darn good! What If I Don't Have Time For This? No worries, we can help! 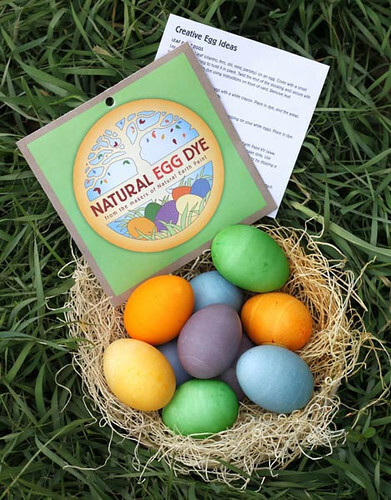 Right now you can add this Natural Egg Dye kit to your next Farm Fresh To You delivery when you customize your box. 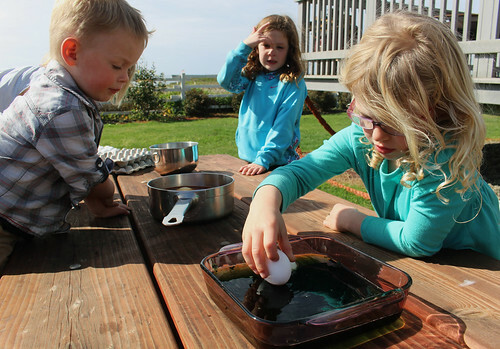 The kiddos get a kick out of coloring eggs and we love the eco-friendly and non-toxic dyes with minimum muss and fuss. Each kit comes with 4 packages of dyes made from fruits, herbs and veggies (including beets, turmeric and spinach) and can make 5-6 different color combinations. See our egg dyeing experience with this kit here. How To Add Eggs, Produce Ingredients & The Natural Egg Dye Kit To Your Delivery: CSA members - head on over to our online Farm Stand Market to customize your upcoming delivery. The Market is open from noon on Thursday until 10 am, 2 days before your scheduled delivery day. After you confirm your produce items, click the orange button "Confirm and Continue To Other Farm Products" to add the products to your delivery. 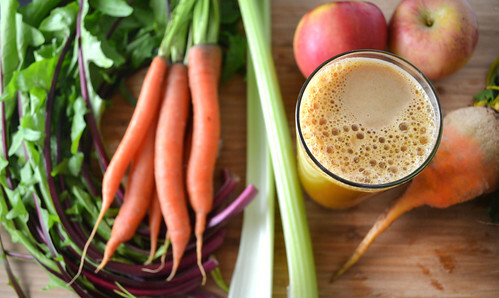 The beets are the highlight of this juice, but the carrots and apples add just enough sweetness that you won't be able to set this juice down. We love the color variation when we use golden beets versus red beets (though both taste the same). Blender/Food Processor Directions: Trim the tops and bottoms off the beets and carrots. Peel the beets and roughly chop the beets and carrots. Peel and core the apples and roughly chop. Chop the dandelion greens. Trim the tops and bottoms off the celery and chop the celery. Add the prepared fruits and vegetables to a food processor or blender and purée with a little bit of water until smooth. Pour into a glass and enjoy! Juicer Directions: Trim the tops and bottoms off the beets and cut the beets into quarters. Feed the beets down the chute one at a time until processed. Trim the tops off the carrots and feed the carrots down the chute until processed. Add the dandelion greens, followed by the celery stalks. Pour into a glass and enjoy! 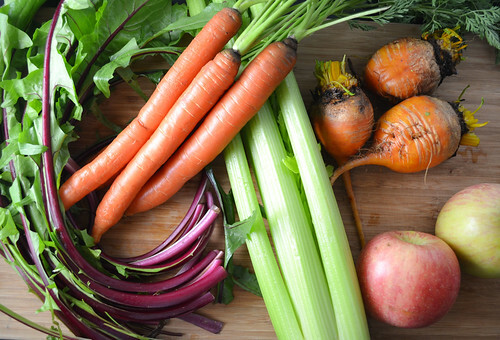 How To Add Fruits and Vegetables For Juicing To Your Delivery: CSA members - head on over to our online Farm Stand Market to customize your upcoming delivery. On the second page of customizations, you’ll find “Produce by the Case” and can stock up if you want a larger batch of produce for juices. The Market is open from noon on Thursday until 10 am, 2 days before your scheduled delivery day. After you confirm your produce items, click the orange button "Confirm and Continue To Other Farm Products" to add the products to your delivery. The morning started off sunny and warm. The bare fields lay light brown waiting for their crops for the year and the irrigation that would follow. Beyond them, the hills were green with spring grass and freshly sprouted oak leaves. The sky was filled with white, puffy clouds that occasionally floated below the sun, casting a huge shadow on the farm and gave me cause to put on a light jacket. You might be thinking, "Strawberry salsa?" But trust us, both of these salsas are delicious and worth making. 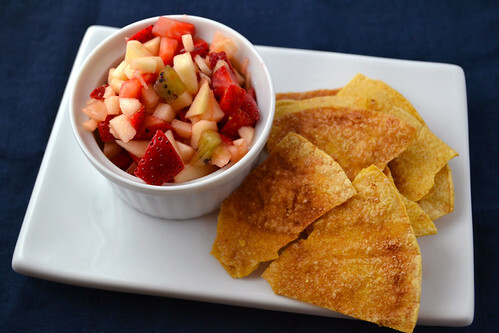 One of them is a sweeter salsa with homemade cinnamon-sugar chips. The other one is more of a typical savory salsa -- and we can't believe how good it turned out! We hope you try both of these salsas and let us know which one is your favorite. 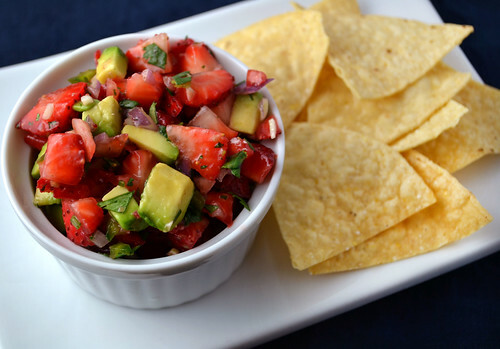 Using strawberries in place of tomatoes and adding avocado makes this our new favorite salsa. The strawberries lend a hint of sweetness that mimic our favorite summer tomatoes, pairing perfectly with the rest of the ingredients in this salsa. We loved scooping it up and eating it on chips, but it would also be good served on fish, stuffed in tacos or even on a burger. Store leftover salsa in a sealed container in the fridge for up to 2 days. 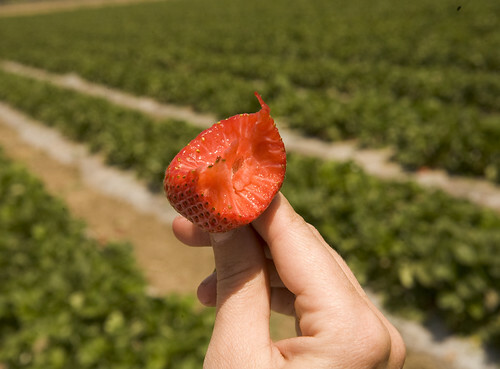 Remove the stem and tip from the strawberries and chop. Mince the jalapeno, onion and garlic and toss them, along with the strawberries, into a large bowl. Cube the avocado and chop the cilantro. Add the avocado, cilantro, lime juice, salt and cumin to the bowl and gently toss. Taste and season with more salt if needed. Serve with tortilla chips. This salsa is like a mini fruit salad that you eat with cinnamon-sugar chips. Our favorite part about this recipe is how adaptable this salsa can be. In the summer, you could easily make this salsa and feature mango, cantaloupe, or peaches. We enjoy eating this salsa with homemade sugar chips, but this sweeter salsa would also be good with yogurt, topped on oatmeal or plain as a snack. Store leftover salsa in a sealed container in the fridge for up to 2 days. Preheat the oven to 350 degrees Fahrenheit. Brush each side of the tortillas with olive oil or melted butter. Mix the sugar and cinnamon together on a plate and dip the tortillas into the mixture (you want to coat the tortillas generously with the mixture, so sprinkle some of the sugar on top in places where it isn't sticking). Place the tortillas on a baking sheet and cook for 20 minutes, until the tortillas are crispy (cooking time will vary depending on the size of tortillas used). Let the chips cool, then break into pieces. Remove the stem and tip from the strawberries and chop. Peel the kiwis and cube them and add them, along with the strawberries, to a large bowl. Peel and core the apples. Chop the apples and put them in the bowl. Gently toss the salsa. Drizzle the honey and lemon juice over the top and toss to combine. Taste and add more honey if desired. Serve with the cinnamon chips. How To Add Strawberry Salsa Ingredients To Your Delivery: CSA members - head on over to our online Farm Stand Market to customize your upcoming delivery. The Market is open from noon on Thursday until 10 am, 2 days before your scheduled delivery day. After you confirm your produce items, click the orange button "Confirm and Continue To Other Farm Products" to add the products to your delivery. 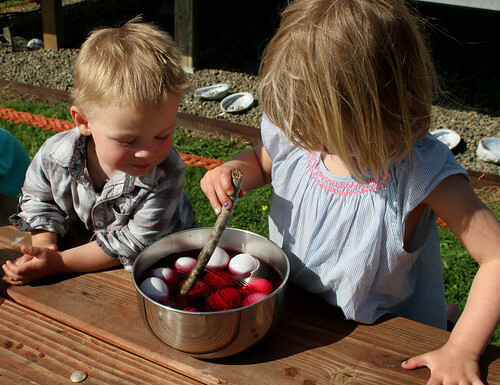 We're a few weeks away from Easter and you know what that means -- egg dyeing time! 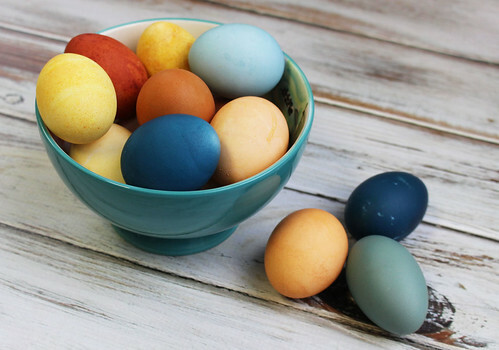 Celebrate spring with earth-friendly egg dyes made from fruits, herbs, and veggies (including beets, turmeric and spinach). 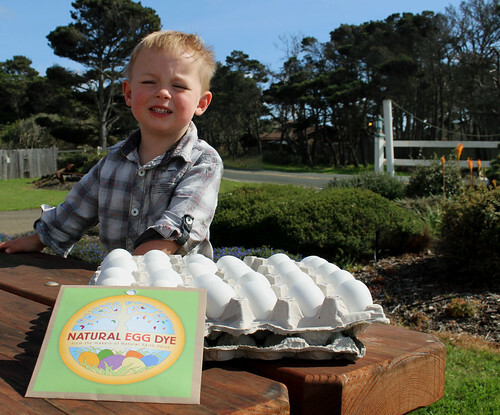 The kiddos get a kick out of the eggs changing color and we love the eco-friendly and non-toxic dyes. Each kit comes with 4 packages of dye and can make 5-6 different color combinations. 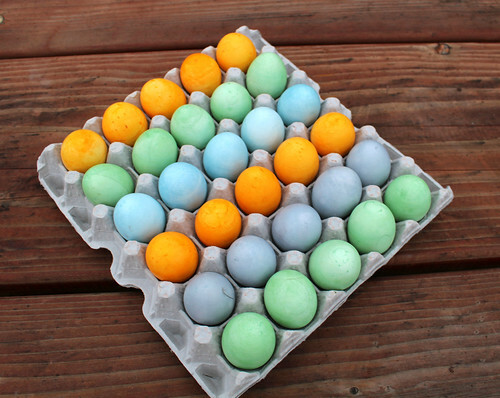 We hope you try this safe and natural egg dye kit for your upcoming egg decorating party! No vinegar is needed, just pour the dye powder into hot water. 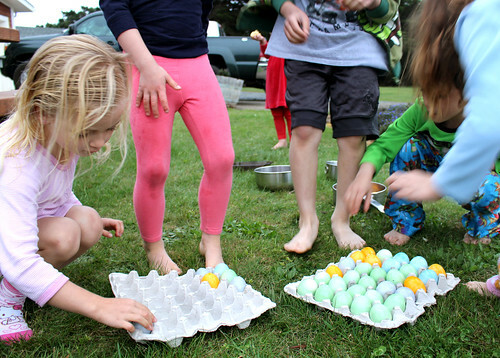 Gently lower the hardboiled or blown eggs into the egg dye. (The kit comes with instructions for how to prepare eggs both ways. Hardboiled eggs keep for up to 1 week; blown eggs keep indefinitely). An official stirring stick is not required (though obviously fun). We left our eggs in the dye longer than you would for typical egg dyes. Because these are natural vegetable extracts, the dye does take more time to become a vibrant color. We recommend leaving the eggs in the dye for 5 minutes to an hour (or longer, if desired). 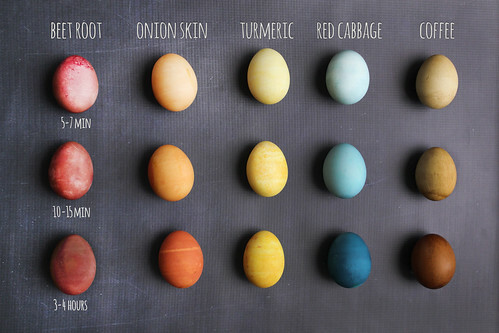 Enjoy your beautiful, naturally dyed eggs! 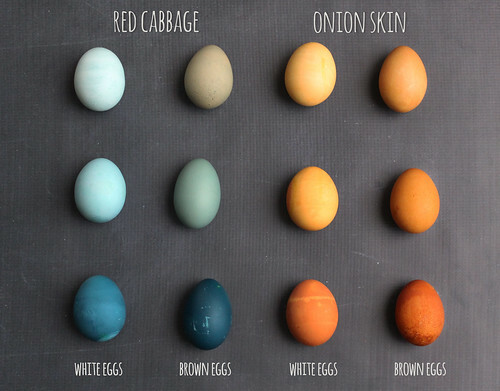 How To Add Natural Egg Dye Kits To Your Delivery: CSA members - head on over to our online Farm Stand Market to customize your upcoming delivery. The Market is open from noon on Thursday until 10 am, 2 days before your scheduled delivery day. After you confirm your produce items, click the orange button "Confirm and Continue To Other Farm Products" to add the products to your delivery.